If you think you're getting the best prices, think again. 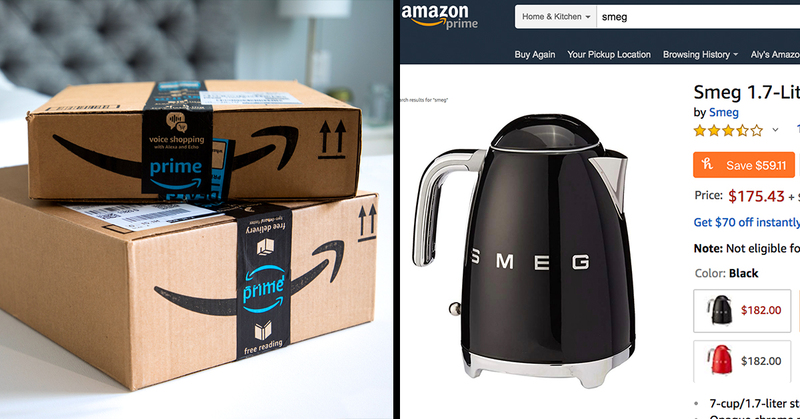 We all love Amazon's ultra-convenient shipping, easy customer service, and clean layout, but the enormous marketplace and fluctuating prices also means that many of us leave money on the table without even realizing it. Luckily, there's a way to outsmart the Amazon system and ensure you pay the lowest price every time you shop: Honey. 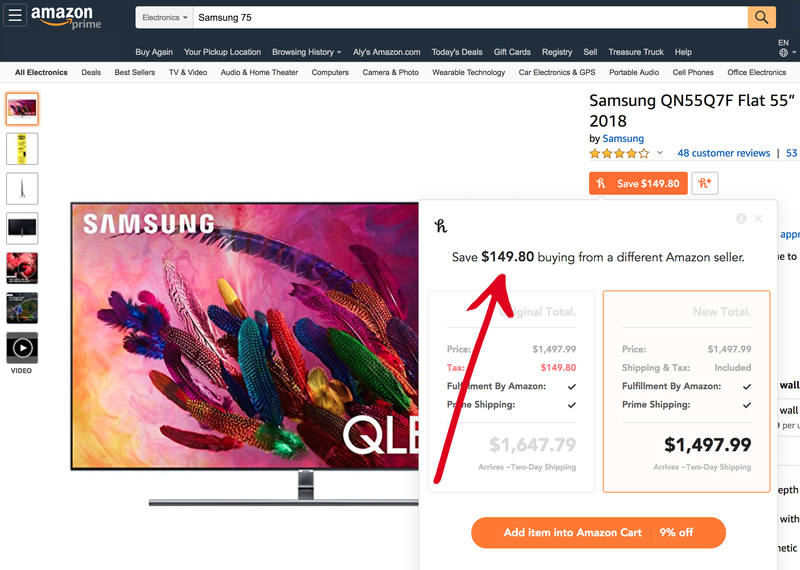 Same TV, same two-day shipping, just cheaper! Go to your browser's extension store to connect Honey to your desktop (it's free and takes two seconds). The next time you shop on Amazon, Honey will check to make sure the price displayed is truly the lowest price available. 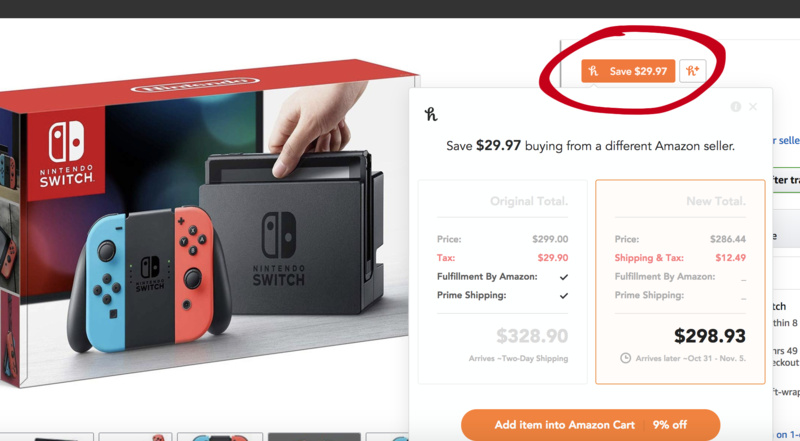 After accounting for item price, tax, shipping, seller rating, and Prime status, Honey will display a little orange tag with savings if a better deal is found. Savings can range from $.02 to hundreds of dollars— not bad considering it takes zero effort. Sometimes the displayed price is actually the lowest price, and in that case, Honey tells you. Either way, you’ll feel confident knowing you didn’t get ripped off. And Amazon is just the beginning. Honey's most popular feature, recommended by Time, Forbes, and Business Insider, automatically finds and applies promo codes at checkout on over 30,000 sites, including J. Crew, Expedia, Macy's, Target, and Groupon. $80.85 saved? Not bad for one click. If you do one thing today, add Honey to your browser. It's free and it can save you some serious cash.